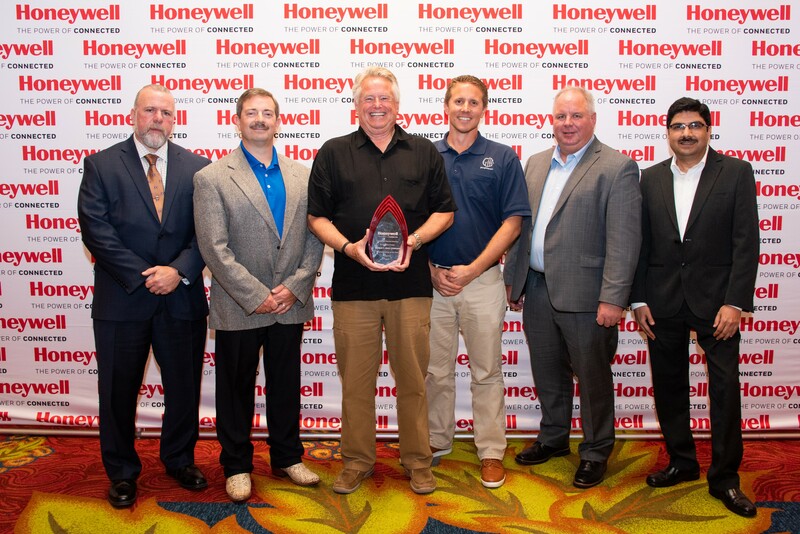 Honeywell Process Solutions (HPS) celebrated the success of its key distributors at the annual Channel Partner of the Year awards ceremony held June 20 during the 2018 Channel Partner Conference in San Antonio, Texas. The awards ceremony recognized nine partner companies, which are distributing and integrating Honeywell industrial automation solutions across the Americas, for commercial excellence and delivering exceptional customer service. Honorees surpassed their annual business goals by providing superior value to their customers. George T. Hall Company, headquartered in Anaheim, California received the Honeywell Americas 2017 Channel Partner of the Year Award – the highest honor given to a channel partner. There were also eight regional award winners, including Promax Combustion Inc. of Canada, Dominion Industrial SA de CV of Mexico, Ingenieria en Automatizacion y Control Ltda of Chile, The C. J. Nolte Company, Control Specialists Inc., Burner Design & Control Inc., Plant Solutions Ltd. and George T. Hall Company. Honeywell hosted more than 200 channel partners from eight countries across the region, including Brazil, Mexico, Colombia, Chile, Peru and the U.S. This year’s conference theme was ‘Connected Partners, Connected Products’, with a keynote speech from John Rudolph, president of HPS. Other topics of the conference, held during the 2018 Honeywell Users Group Symposium, included Honeywell business updates, global channel strategy, customer development tools as well as product presentations, demonstrations and training.